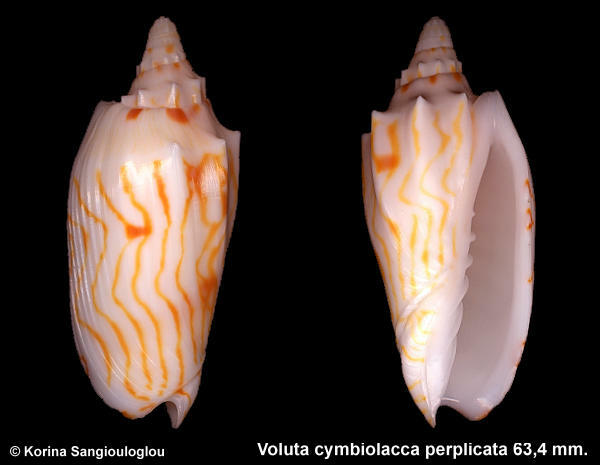 Voluta cymbiolacca perplicata 63,4 mm. Very nice, milky white color with lovely orange pattern. to the shell, the lip has chips.